As the legalisation of Recreational Cannabis nears, there is still a growing need for information for Medical Patients. Two local organisations have held public information events regarding the use of Medical Cannabis/Marijuana. The Windsor Essex Rotary Club held a very informative event which included a meal, and all proceeds raised went to Hospice. 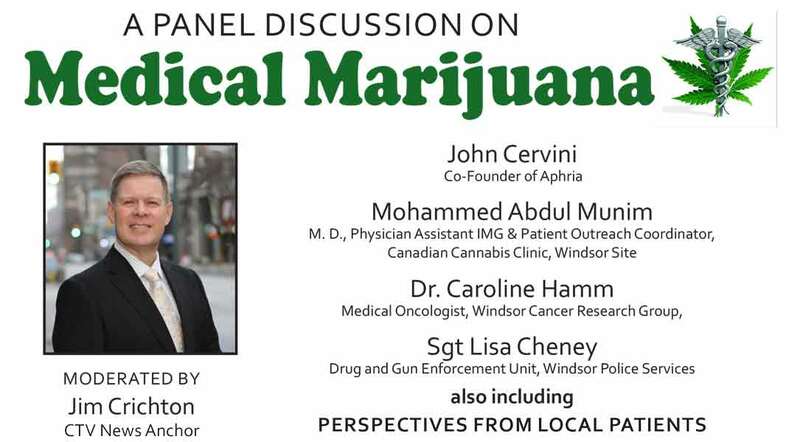 Recently the Arthritis Society held an event which was sponsored by Aphria (A Government approved Licensed Producer) located in Leamington, Ontario. Medical experts attended these events including Dr. Blue who is a Windsor Pain specialist, as well as several patients and Fabio Costante who is a Windsor lawyer. 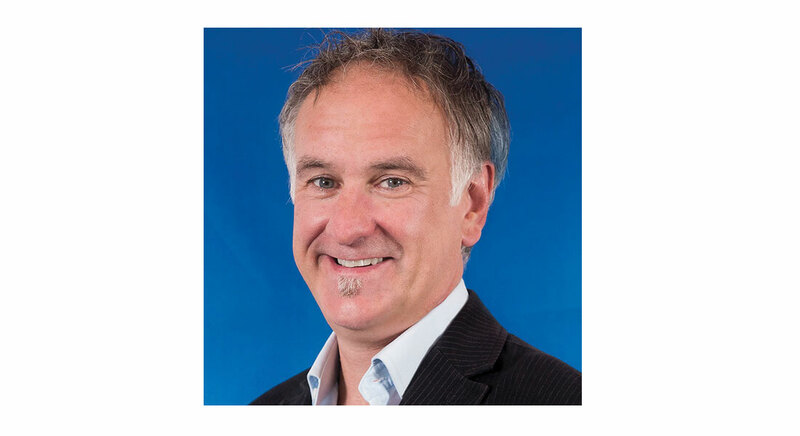 Photo: Dr. Jason McDougall, is a professor in the department of pharmacology and anesthesia at Dalhousie University. McDougall is using a three-year research grant from the Arthritis Society to study how cannabis compounds can manage arthritis pain. There are still 1,000’s of patients who are still unaware of how to get a Medical Cannabis prescription. And for many patients who have prescriptions, they are not aware of the options they have. Patients are still afraid to seek advice from their family doctors and are being refused treatment every day. Right now, in Windsor Ontario there are patients who have used Cannabis for Cancer, PTSD, Multiple Sclerosis, Epilepsy and Arthritis. They are sharing their stories in private groups on Facebook, or on Youtube. Medical Cannabis is also being used to treat opioid addiction. The general public is not aware of this. Local clinics are using it to wean addicts off of powerful opioids like Fentanyl and Oxycontin. Every Mayor in every city should be making the public aware of this. It is a solution, and budgets need to be made to accommodate addicts. It will also have a powerful effect on Mental Illness. To date there has only been 2 public events open to the public. There was a growing need for more. On April 20th – 21st a new educational event is being planned at the Charles Clarke Square for the 420 celebrations. In the past, 420 events have been attended by recreational users and was more of a protest. Now that legalisation is close, 420 events are evolving. This event is different in that it is not sponsored by a Licensed producer or a Charitable organization. Leo Lucier is a medical patient who has deep roots in the Windsor area. He held the first event last year. The response from the media and the Police was very negative, but that is to be expected for an event of this kind. Much to the shock of the media, police and local government, there were no problems, no arrests and the response from the public was overwhelming. Patients and other attendees asked for a bigger event, with more public speakers, vendors and food. Leo has arranged for speakers to come from as far away as Texas in the USA and Owen Sound in Canada. The event costs $5.00 or a canned food item. Last year, Leo made a very generous donation to the local Windsor food bank and the Women’s shelter. The Food Bank is typically empty after Easter, so a donation of this magnitude is much appreciated by the community. The cash to get in was donated to the Women’s shelter. 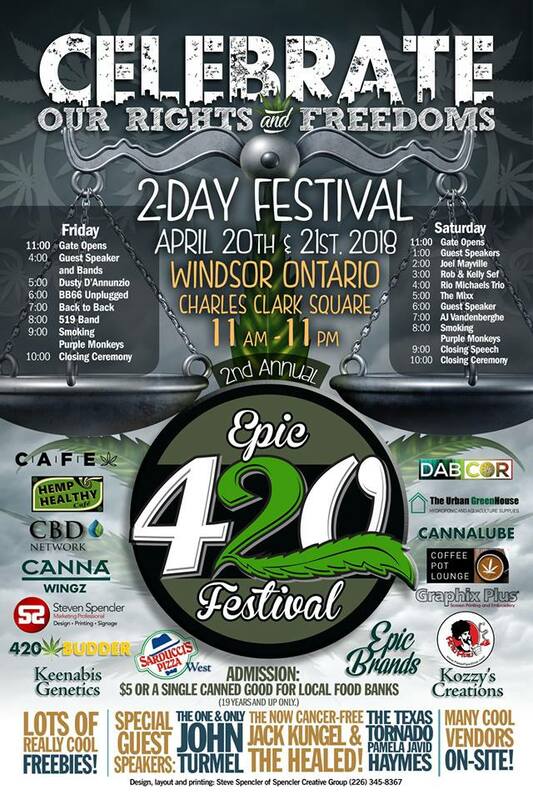 What can you expect at the Epic 420 Event in Windsor. The possibility of a bigger tourist draw for events in the city could include Cooking Demonstrations and contests with “Top Green Chefs”, a variety of vendors selling Food that is infused, Medible desserts, clothing, jewellery and much more. Windsor should embrace the boost to Tourism as Legalisation rolls out.